hello i am new to this group but lovely to have found you online. can anyone help me at all in my search for saanen kids please? i do hope i am not too late this season already??? Welcome to the SGF Forum. I don't think you are too late for Saanen Kids, infact you timing is probably just right. There are a lot of breeders in your area so someone on the forum might be able to help you. Have you contacted the SGF stock secretary, details are on the SGF Main Website. I trust your looking for castrated male kids? How long have you been keeping goats? i was brought up round goats - my grandparents were farmers. i have a horse and donkey of my own and several dogs including russian wolfhounds. 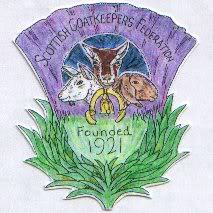 i have always wanted goats but instead of keeping milkers or breeding at present i would like to have some males. i have worked with animals all of my life having been a vet nurse and dog and cat groomer amongst other things. Glad you joined up. We can see what we can do about looking for some kids for you. Do they need to be pure bred British Saanens, or would you just settle for white AOV's who are say 1/2 British Saanen? i am really pleased to hear from goatie people and go along with what you are suggesting - i love all goats to be honest but my favourite are white ones so if you come up with something i would be interested.